The city of Waltham is located within Middlesex County and is comprised of about 60,600 people. Waltham has a rich history as one of the major contributors to the American Industrial Revolution in the 19th century. 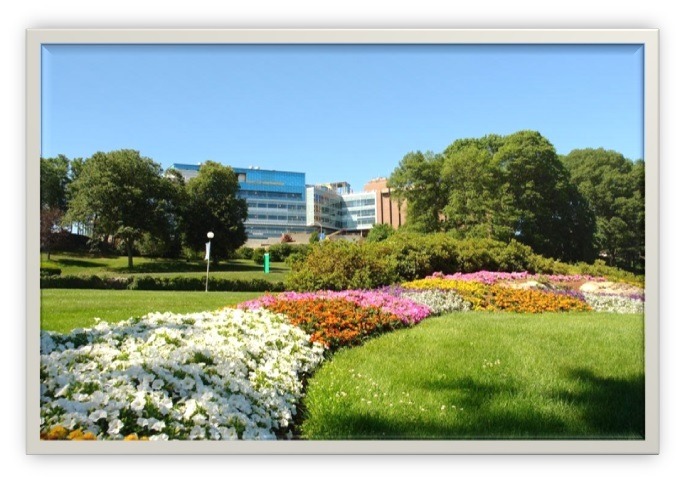 Today, Waltham houses a center for research, Bentley University and Brandeis University. Waltham is also notorious for being called the 'Watch City.' The city was home to the Waltham Watch Company which opened in 1854 and was the first company to produce watches on an assembly line. Below are the latest real estate for sale in Waltham, MA. Save your favorite listings to your account and we will send you notifications when similar properties are on the market. Don't have an account? Register for free! TRULY the MOST MAGNIFICENT & LAVISH Home in Waltham Located in Prestigious Piety Corner Locale featuring the Perfect Combination of Today's Renovations with Yesteryear's Charm in this Tremendous Colonial Manor with Beamed Ceilings, Gumwood Moldings, Columns & French Doors, Newer Honed Marble & Granite Kitchen with Island Bar & Top of the Line SS Wolf & Sub Zero Appliances Open to Bright Sunroom & Rear Yard Views, Huge Front to Back Fireplaced Living Room & Formal Dinrm, Bright 1st Floor Family Room with Charming Built-In Shelves, Wood Stove, & Full Picture Doors, Grand Entry Foyer, Dual Staircases, Elevator, Master Bedroom Suite with 4 Closets & Newer 2014 Marble Bath, Finished 3rd Floor Bdrm & Office, 4 Addl Finished Bsmnt rooms, Central AC, 3 CAR HEATED Garage, Circular Driveway, Meticulously Landscaped Sprinklered Yard with Slate Patio & Inground Pool, BONUS Stunning New 2005 In-Law Suite Addition with Private Livrm, Beautiful Granite Island Kitchen, Bdrm & Gorgeous Tile Bath. Rare Opportunity! This one of a kind Italianate Revival Mansion offers ornamental plaster, marble fireplaces, soaring ceilings, and stunning period details. In the heart of downtown Waltham, just a short stroll to restaurants, shops, and cinema, this home sits on over a half acre. The patio, porches and beautiful gardens perfect for entertaining family, friends and business associates. The floor plan fits today's lifestyle, great for multi-generational families, or home businesses - schools, daycare, professional office - the possibilities are endless. Lovingly maintained and remodeled in 2006 this home has everything - Formal rooms for holiday gatherings, sun drenched chef's kitchen w sub zero refrigerator/freezer, La Cornue Chateau Gas Oven & large dining area, Master bedroom suite w jacuzzi & walk in shower bath, sitting room & study, three additional en suite bedrooms, ten bedrooms in all, and a four car garage...Don't miss this once in a lifetime opportunity! Call Today! Rare opportunity to own a truly spectacular and expansive home in a coveted North Waltham neighborhood. Meticulously maintained by the same family and now offered for the first time ever. Exceptional features of this spacious 5511+/- sf home include: beautifully renovated 1st floor master bedroom suite and luxurious bath w/custom cabinetry, quartz countertops, large wet room, radiant floor heat. Updated open concept kitchen perfect for entertaining w/granite countertops/SS appliances: Wolf cooktop/hood, Thermador double wall ovens, 2 Miele dishwashers. Kitchen opens to spacious family room w/fireplace and sunroom flooded w/natural light. A 2nd laundry/kitchenette and wet bar in finished basement w/fireplace, walkout to in-ground pool, fenced backyard. Large deck off sunroom and 2nd private deck off upstairs bedroom. Whole home generator, central a/c, 2 driveways, 2 car heated garage, beautifully landscaped lot with irrigation. Near Bentley University, Gann Acadamy, Chapel Hill School. Great owner-user opportunity or investment property. Most offices are leased individually. Shared conference room on 1st floor. Great cash flow. Prime location with nearly unlimited public parking access immediately adjacent. Listed by John Nealon of W. J. Nealon Commercial Realty, Inc. HIGHLY DESIRABLE LINCOLN LINE LOCALE! RARE FIND! LARGE IMMACULATE BRICK FRONT COLONIAL featuring huge island E-I-K, bright fireplaced living room w/double sliders to relaxing deck, spacious formal dining room w/hardwood flooring, formal living room for the holidays, private master suite including massive walk-in-closet and full bath, bonus third floor play/game room for the kids, fully finished lower level great room w/fireplace and wet bar,exercise room, home office, two car detached garage w/loft storage, irrigation, manicured landscaping all located on quiet on cul-de-sac! Walk to reservoir and conservation land! Quick access to Rte 128, Rte 2 and Mass Pike!